The current European version of Volkswagen Golf R ships with a 2.0-liter engine rated at 300 hp (224 kW). The 4WD hatchback needs around five seconds to accelerate 0-100 km/h (0-62 mph) using manual transmission, or only 4.6s using DCT. However, a technically simple and easy-to-install upgrade can bring it on par with some serious sports cars. 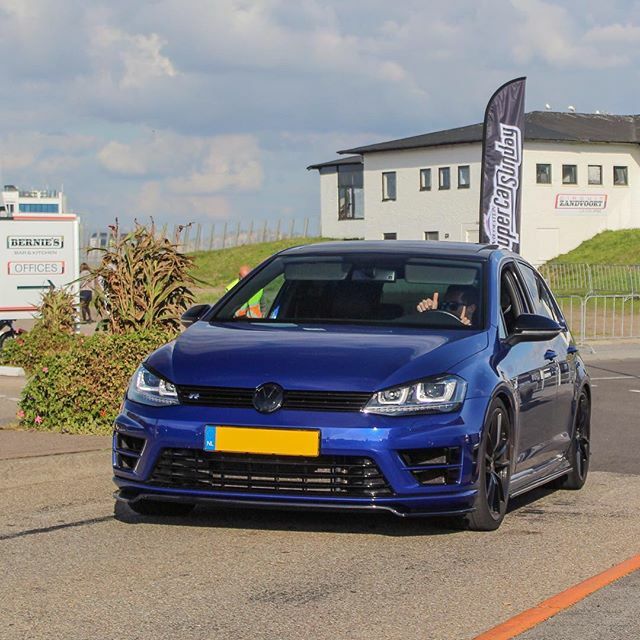 Take this particular Volkswagen Golf R, which has only ever received a better air intake system, a new exhaust system and a chip tuning. As a result, its performance went up to 406 hp (303 kW) and 546 Nm (403 lb×ft) of torque. This may not seem like much, but keep in mind that the upgraded car can take on a Mercedes AMG A45s or a Audi RS3s and win.